Memories of growing up in Hatfield In the 1920’s. I can so well remember the delights of discovering life in a village, when we moved to Hatfield in 1923 when I was twelve years old. After the noise and bustle of north west London, I felt life was one long holiday, with fields and hedges and trees all round. We lived in Newtown House, a Victorian 16 roomed place, standing in an acre of garden. 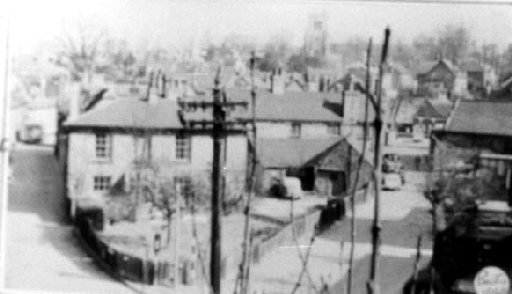 It is now demolished with other houses, cottages, shops and little alleyways that made up Newtown part of Hatfield and is now White Lion Square. Pretty French Horn Lane wound its way down to the old village of Hatfield, with Holier’s Dairy on the way, where milk was delivered in horse-drawn floats. 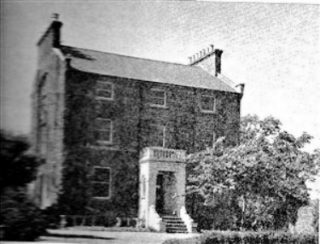 Nearby was where Miss Caeser held her private junior school for the children of the fourth Marquess and Marchioness of Salisbury and the local doctors. Her sister was a portrait painter, they were both very tall, elegant ladies always smiling. which carries the main line trains from London to Edinburgh. Under the bridge the lane divided with “Triangle House” in the middle. There lived a well loved Dr Brittain, quite a character in his way. He was renowned for driving an old Morris Cowley car which never seemed to be cleaned, and many instances of not sending in his bills to patients. His practice even spread to St Albans. The left fork of the lane was Batterdale with more cottages and the Carmelite convent. I remember when we school children saw our first “wedding” there of a young girl “taking the veil”. That building later became a factory! After more interesting places, was the fire station where Batterdale met the Great North Road. The right fork continued down to the main road with more houses and cottages where lived another character, Daisy Gray. Hatfield Park was still a lovely place to roam around in. We could walk up to the Home Farm dairy to get cheap skimmed milk, which the children carried home in little oval-lidded cans. Spring time brought wonderful spreads of daffodils and we were allowed to pick one bunch each. The eagle eye of the lodge keeper was always on the lookout for any more hidden in prams or under coats. “Wooding time” was when we were allowed to drag home any fallen logs or branches of trees for our home fires. That was real hard work. I was rather envious of those children who were released from school lessons to help the farmers during potato digging time- “Spud’ocking” they called it. This page was added on 10/06/2014.